Preserving and exhibiting the finest examples of American Art. 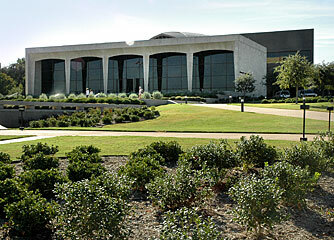 The Amon Carter Museum opened in January 1961 to house the collection of western art amassed by Fort Worth publisher and philanthropist Amon G. Carter, Sr. (1879–1955). Expanding on Carter's original collection of 400 paintings, drawings, and works of sculpture by Frederic Remington and Charles M. Russell—the single most important collection of works by these artists—the museum now encompasses a wide range of nineteenth- and twentieth-century American paintings, drawings, prints, and sculpture, as well as photographs from the early days of the medium to the present. Over the years, the museum has added more than 230,000 photographic objects, spanning the history of the medium, and has become one of the country's major photographic collections. The expansive collection of prints includes works by almost 400 photographers representing almost every aspect of American photography, from early daguerreotypes and salt prints to soft-focus pictorialism, modern landscapes, and highly experimental work.